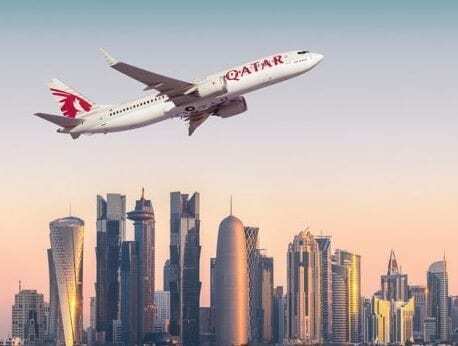 Qatar Airways announced that it will fly a greater number of passengers to their preferred European destinations this winter, with additional capacity on some routes available now. From December onwards, business and leisure passengers can enjoy a greater choice of travel options as three popular European routes – Helsinki, Finland; Stockholm, Sweden; Manchester, U.K. – all receive aircraft upgrades. Manchester and Stockholm routes will be upgraded from an Airbus A350 to a more spacious Boeing 777, and the Helsinki route will also be upgraded from an Airbus A320 to a larger Airbus A330. In addition, the frequency of flights to the airline’s second gateway to London, Gatwick, has also been increased from 14 to 16 weekly flights, with immediate effect. The popular route, which is serviced by the state-of-the-art Boeing 787 Dreamliner, was re-introduced in May and is Qatar Airways’ sixth U.K. gateway. Qatar Airways is one of the world’s fastest-growing airlines, with a modern fleet of more than 200 aircraft flying to business and leisure destinations across six continents. The award-winning airline recently revealed a host of new global destinations, including Gothenburg, Sweden and Da Nang, Vietnam.